Written and directed by Sally Potter (Ginger & Rosa), The Party defaces the façade of “dignified” British society and exposes humanity’s inclination towards conflict and chaos—all while confined to a single claustrophobic setting: an upper-middleclass home. Potter’s incisive dialogue elevates an otherwise paper-thin plot and brisk runtime of 71 minutes, and the film’s theatricality provides the enviable cast with plenty of room to run wild. The Party immediately draws comparisons to Mike Nichol’s Who’s Afraid of Virginia Woolf? and Roman Polanski’s Carnage, both of which take aim at the hypocrisies of educated white society. 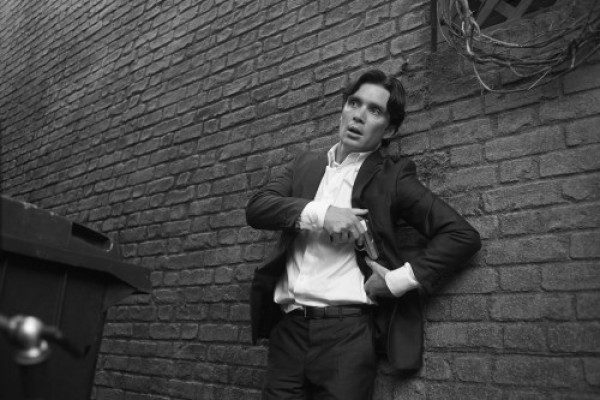 However, The Party’s strength resides not solely in its commentary but in its incomparable cast comprised of Emily Mortimer, Cillian Murphy, Kristin Scott Thomas, Cherry Jones, Timothy Spall, Bruno Ganz, and a scene-stealing Patricia Clarkson. Each actor is given enough space to explore—granted, they aren’t portraying characters so much as archetypes: Clarkson is a misanthropic cynic, Scott Thomas is a political and social idealist, Spall is a materialist, and Murphy is an anguished capitalist. Ultimately, this begs the question: Why on earth would these people be hanging out in the first place? The answer: Potter is more concerned with dramatic irony than realism and the scathing dialogue these archetypes permit. As such, each character is merely defined by their belief system and not much else, but when characters clash—when ideologies collide—the sparks truly fly. In the final act, Murphy’s Tom (who, of course, brought a gun to dinner) becomes frightfully unhinged and Clarkson’s April gleefully revels in the mayhem while Scott Thomas’ Janet attempts to maintain some semblance of order. It is during these fraught moments when The Party goes from an amusing get-together to an epic rager. Sadly, the film ends just as it’s getting heated, and the final punchline feels like a cheap sucker punch. The Party refuses to provide a hunky-dory, life-affirming takeaway and instead suggests that those who claim to be the most civilized are the quickest to devolve into savagery. It is a bold statement that feels particularly prescient given our current social and political climate. With a few more charged scenes, however, The Party would have better utilized its exceptional cast, but, as it is, it’s still an enjoyable, timely farce.